Like many AR15 shooters, I would rather shoot more for less money. Unfortunately in the last two years shooting a lot inexpensively has been an oxymoron. Currently a shooter would be lucky to find .223 ammo for less than 35-50 cents a round which means that basically the equivalent of two quarters are flying out the ejection port with each and every trigger pull. Many of us higher volume AR15 shooters have moved over to something like a S&W M&P15-22, but then again .22LR rifle ammo has actually become more rare than .223 and nearly as expensive in some cases. More than a few fellow AR15 enthusiast have recommended AR15s converted to shoot Russian Surplus 5.45x39. 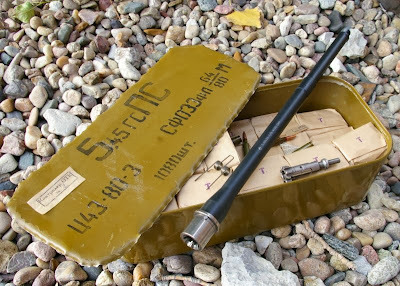 The 5.45x39 round is basically Russia’s answer to the 5.56 Nato round and has very similar ballistics and energy. There are heated arguments over which is better, however from my perspective I could care very little about ballistic arguments, what I am interested in most is the ability to buy 1040 rounds sealed in a steel food-like cannister (commonly referred to as a SPAM can) for around 16-20 cents a round. Yes you read that right, 1040 rounds for around $180 - 5.45x39 to the rescue. With 5.56/.223 ammo being around 46 cents a round and surplus 5.45x39 being 20 cents a round, you easily save $260 for every 1000 rounds which will pay for most 5.45x39 setups easily in 1000-2000 rounds. 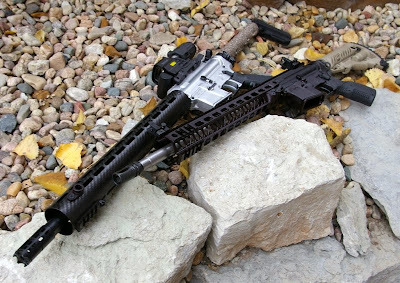 This is a tale of two 5.45x39 AR15 builds that uncover the Good and Great of two builds and a bit of Ugly revealed with one build. 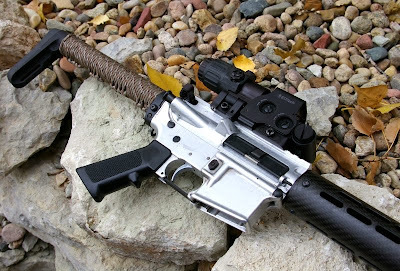 WHAT IS NEEDED TO CONVERT AN AR15 TO SHOOT 5.45x39 SURPLUS AMMO? Only two changes are required to your standard 5.56/.223 AR15, however two others are recommended. You will need a 5.45x39 chambered barrel and bolt. Depending on bolt design an “enhanced” firing pin usually included, however Ballistic Advantage uses a standard firing 5.56 pin. Other highly recommended upgrades are an extra power hammer spring to deliver more reliable ignition on the VERY hard surplus primers. Without the extra power spring, you will have a lot of rounds that fail to detonate. A purpose built 5.45x39 AR15 magazines which will load a full 28-rounds make shooting a little more fun. Most polymer magazines such as Magpul and Troy AR15 magazines will feed and function perfectly, however, they will only allow around 20-rounds to be loaded before feeding issues occur due to the tapered case design of the 5.45x39 round. I used standard polymer Troy and Magpul AR15 magazines. Milpec steel and aluminum 5.56 mags were also tested but were shown to decrease feeding reliability and overall capacity considerably - stick with polymer mags. 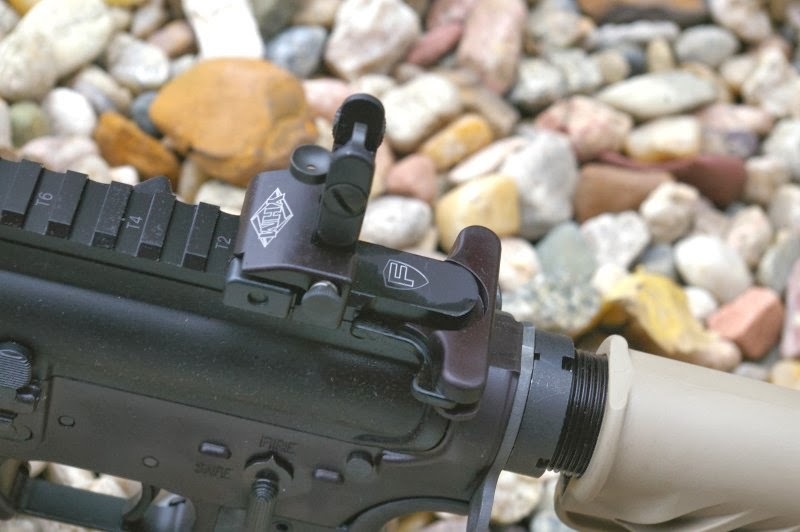 Magpul P-Mag followers can be cut and modified to load and reliably feed more rounds, however that is beyond the scope of this article. 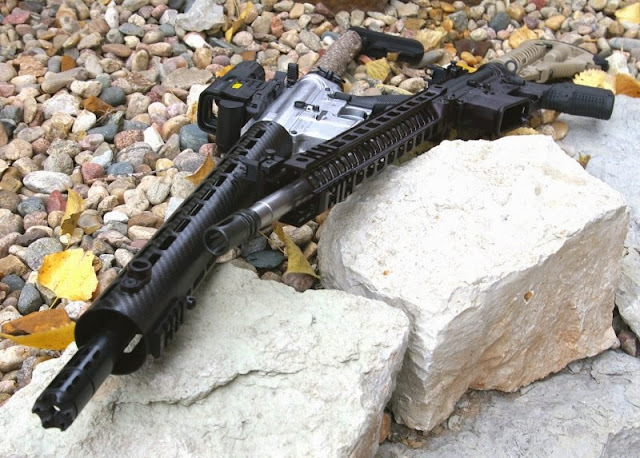 The conversion process is simple if you have built an AR15 before; Swap out the barrels, move the gas block and tube over onto the 5.45x39 barrel, reattach the handguard and swap out the bolt in the existing bolt carrier group. Preferably also swap out to a higher power hammer spring. If you have the right tools, the conversion can be done in about 15 minutes. At the time of Build #1, finding 5.45x39 barrels were a challenge, however, in my haste I found a GunTrader listing for 1:9 twist stainless steel USTactical overstock/liquidation barrels being sold for only $130. For the record Model 1 Sales does sell 5.45x39 barrel, however they are stupidly expensive at $275-$310 for just a “standard quality” level barrel. I opted for the lower cost liquidation barrel instead and was pleasantly surprised with a decent looking stainless 16” barrel. I also ordered a Model1 Sales for a Complete 5.45x39 Bolt Assembly including a .064 enhanced firing pin - $93. The bolt arrived quickly and looks exactly like a standard bolt but with a firing pin that protrudes a bit more than a standard firing pin would. 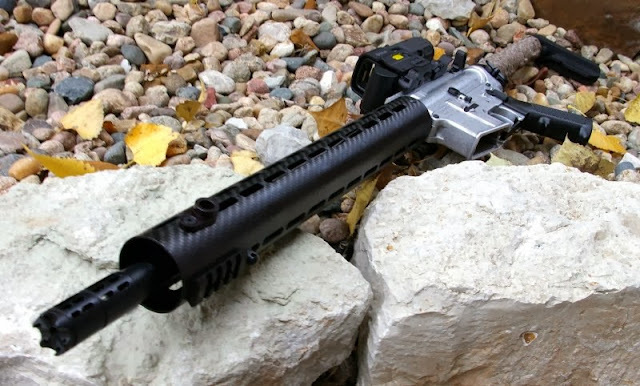 Beyond the custom parts, the bolt & barrel totaled $223 ($130 Barrel & Bolt $93) which could be easily justified in the first 1040 round Spam can. 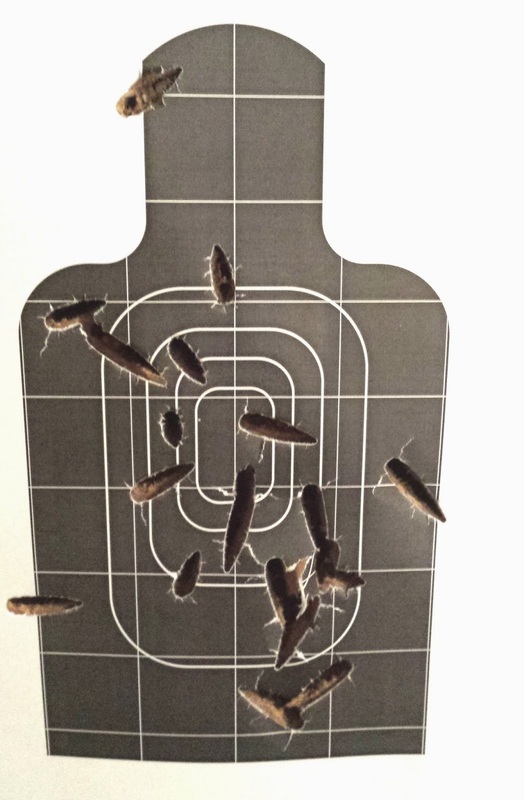 I picked up a couple Spam cans of 5.45x39 surplus from Palmeto State Armory and hit the range. The build fed perfectly, functioned perfectly, fired perfectly, and delivered one hell of a smile on my face as the cases poured from the ejection port. There was the occasional round per magazine, which appeared to have a good primer hit, but did not ignite, however re-feeding those bad rounds fired each one. Those random duds let me work on my jam clearing drills. That all noted, what the barrel also did was keyhole every damn round into the target at pretty much any range. Interestingly, it held a decent plinkable 2” group at 25-yards, which just enolates pop cans and still delivers about 4-6” groups at 50-yards. Let me tell you that a 5.45x39 round flying sideways is unbelievably destructive. 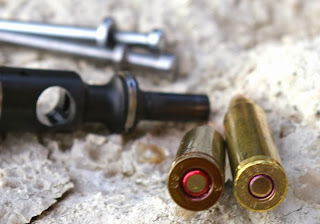 Of course bullets are not supposed to fly sideways and means something is horribly wrong with the barrel or ammo. The seller noted that that sales were final and I just needed more barrel break in, which of course is total BS. After over a 1000-rounds of various lots of 5.45x39 rounds and bullet weights, the barrel was still delivering keyholing rounds down range. I recrowned the barrel in hopes that it was a bad crown versus just not enough twist in the 1:9 rifling to stabilize the round. 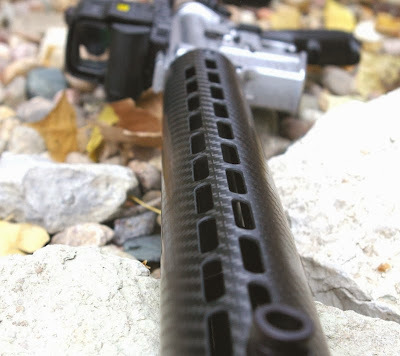 Although the crowning delivered a marginal improvement, it is now clear that a 1:9 twist is not enough to stabilize the round coming out of an AR15 format rifle or the barrel was improperly drilled to 5.56 diameter. Lesson learned do not buy a 1:9 twist 5.45x39 barrel on the cheap and again my hunt continued for a better barrel. Some may remember a Facebook post of an initial build based on a unique “naked” anodized American Spirit Arms upper and lower receiver set a Geissele forend and many of the awesome extras featured on the below Build #2. After the realization that I did not have an accurate barrel, I did a more practical iron sight rebuild. The rebuild uses a very low profile Fortis gas block, YM Chrome M16 carrier, Geissele Mark IV ultralight forend, Fortis upper, Anderson Manufacturing lower, Barnes Precision parts kit, YHM flip up sights, ALG trigger, and Anderson Manufacturing flash hider, charging handle, carrier, and gas tube. In the end the build was well equipped and fun to shoot. Despite the keyholing and accuracy issues, I would do this build again, even with the bad barrel. It has been a BLAST to shoot, plink, and train with from a tactical training perspective at shorter distances. I use it for doing close range sub-25 yard V-drills, fast moving double tap drills, figure eight barricade drills...etc where accuracy is not paramount but where round counts add up very fast. 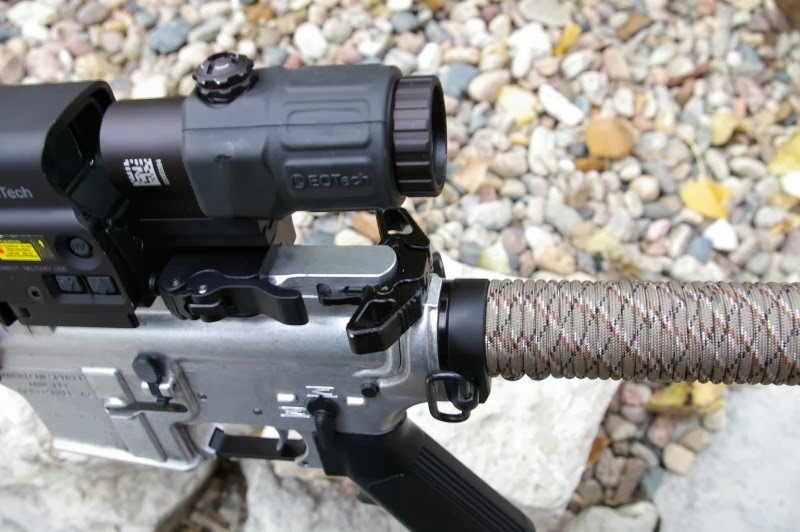 The barrel delivers 2”-25 yard groups and essentially a single ratty hole at shorter distances. If I was going to actually hit something at 50-100 yards this would not be my go-to build, however for high round count repetitive training, despite the accuracy and keyholing issues it is an awesome training setup that perfectly matches the operation and recoil of my regular AR15s. Next I began searching for an accurate 5.45x39 barrel, I landed on the “under construction” website of BA - Ballistic Advantage. 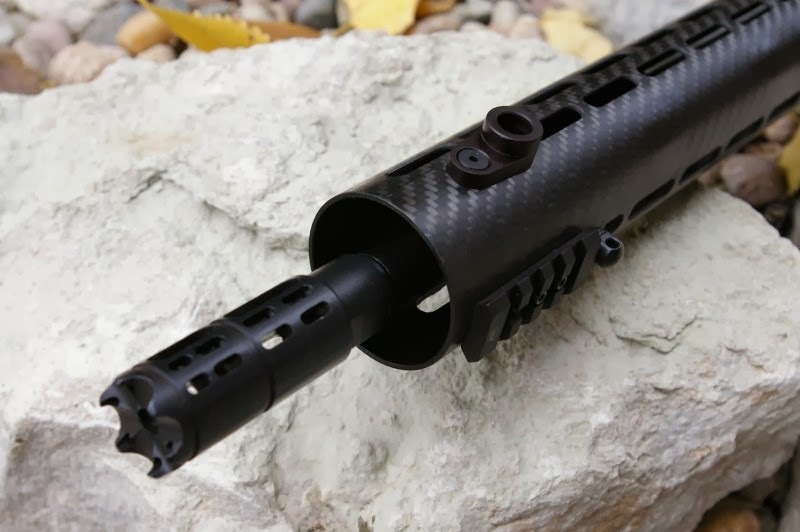 BA has been an OEM manufacturer to a number of firearms manufacturers around the country for some time, but just very recently began to process of launching a consumer facing site which obviously is still in process. An update to this article is that BA's online store is now live. Some of BA’s most notable OEM relationships are the very well regarded Spikes Tactical 5.45x39 uppers which BA provided the bolts and barrels for. 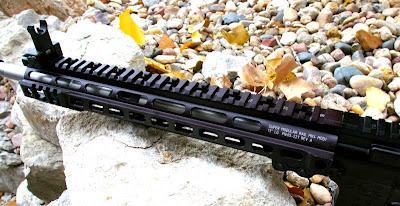 Apparently BA is the only company around which has done a ton of R&D on the 5.45x39 surplus rounds in the AR15 platform and developed barrels and bolts which allegedly deliver superb accuracy and reliability. 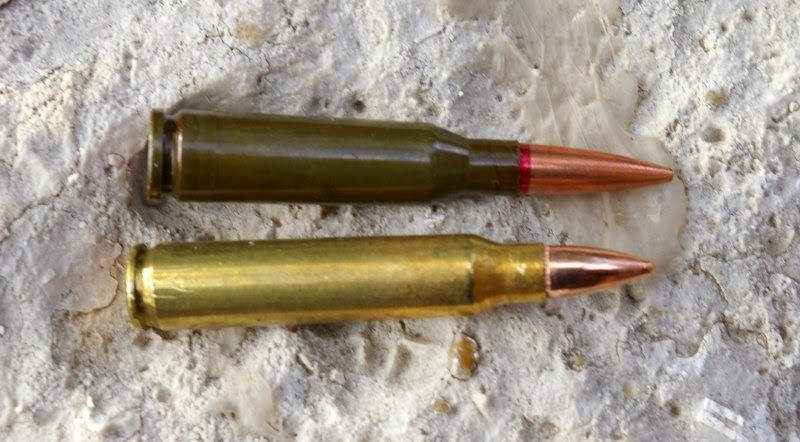 Unlike many 5.45x39 barrel manufacturers, Ballistic Advantage believes the round needs a faster 1:8 twist barrel and BA also does something different on their bolt. The Ballistic Advantage barrel received would be considered super premium grade. It features a flawless external finish, mirror internal bore, match recessed crown, full melonite coating, and Fail Zero Barrel extension. It is a gorgeous barrel for $255 and far from the quality of the other 5.45x39 barrel I picked up on the cheap. BA also goes the extra mile to assure reliability of the bolt and ignition with a custom designed bolt which uses a standard AR15 firing pin. They do this by specially designing the bolt which allows a standard AR15 firing pin to strike deeper into the primer for positive ignition versus needing an extended firing pin. To assure absolutely positive ignition, they also include an extra power hammer spring in the barrel, bolt, spring conversion kit. 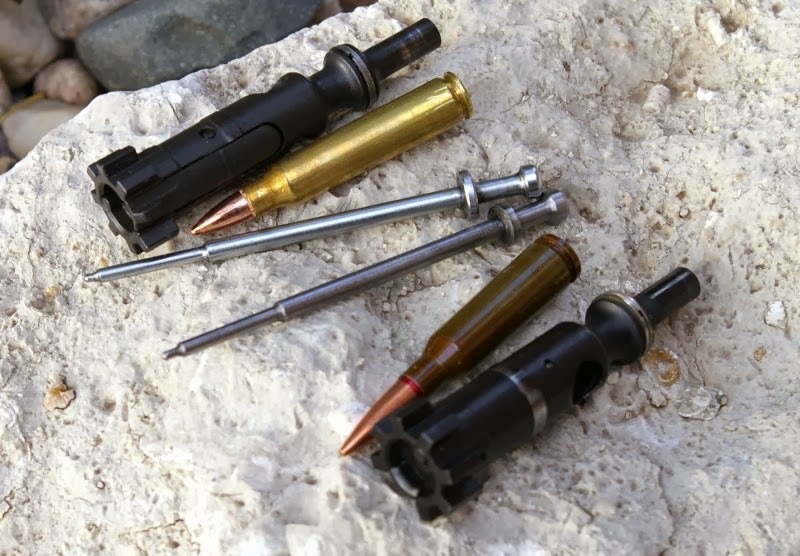 Of note only two rounds have failed to fire in the 2000+ rounds in this build, however on Build #1 with the Model 1 bolt and extended firing pin one in every 200 or so rounds failed to fire without an extra power hammer spring. The Ballistic Advantage kit is significantly more reliable out of the box. $255 - 16" Hanson 5.45x39 Barrel (Extra Power spring included), $85 - 5.45x39 Bolt Failzero Coated - Total Investment for the Ballistic Advantage conversion was $340. Unlike the cheapo liquidation barrel that hurled bullets sideways downrange, the BA barrel performed amazingly well. 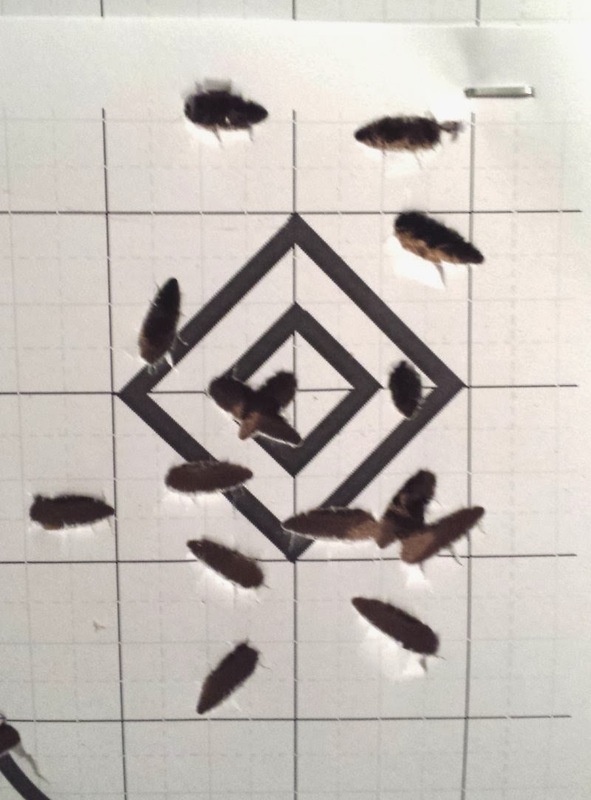 A smile curled on my lips as my first quick three-shot sight-in group delivered a .5” group at 27-yards with all round holes. The next couple groups shrank even smaller to around .25” while finishing up the sight in with the Eotech optic setup. 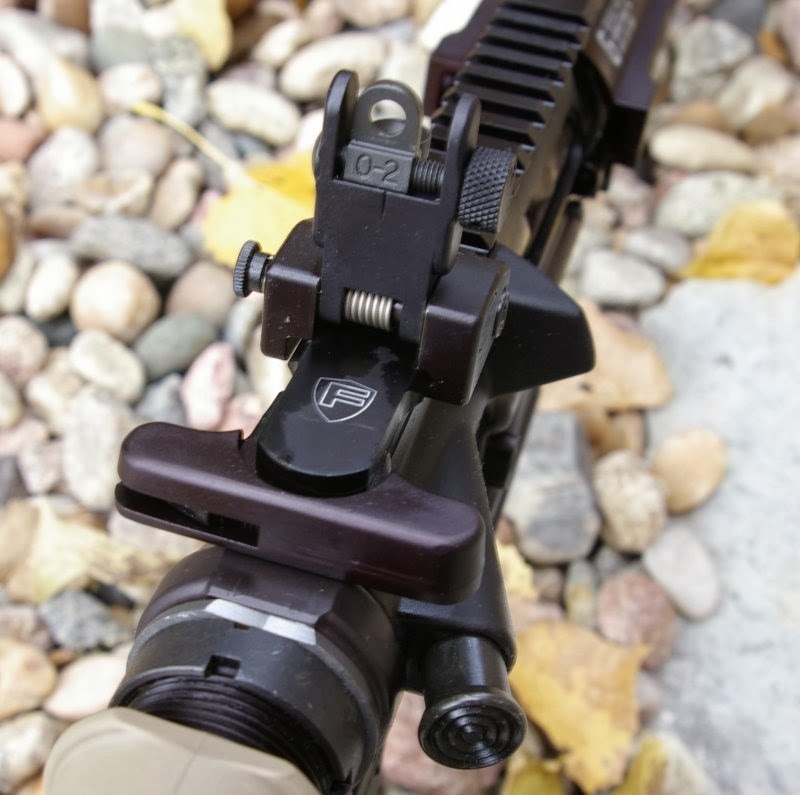 It was obvious this barrel is a shooter and even at 100-yards still delivered sub-1.25” groups with the Eotech. The groups shrank further with a higher powered optic. Look for a future article on the surprisingly long range accuracy of the Ballistic Advantage 5.45x39 barrel. 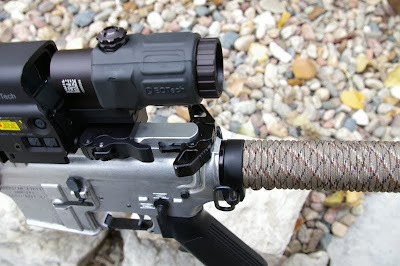 Knowing that BA had a very well regarded reputation, I decided to go the extra mile with premium upgrades including using the “naked” un-anodized American Spirit Arms upper and lower receiver set, AXTS/Rainer Arms ambi-charging handle, Fail Zero carrier, Ace Ultralight stock with a custom tied paracord tube cover, AP Customs 15” Carbon Fiber far-end, Houlding Precision Curse Muzzle Brake, a Barnes Precision parts kit, and topped it all off with an Eotech Sight and 3X multiplier combo. Sure, not a cheap build, however, if I am going to shoot a lot, I want to have a lot of fun in the process, plus I can convert it back over to a 5.56/.223 anytime. The entire build is extremely light and so custom it screams to be shot a lot. How could you now want to hammer rounds through it? 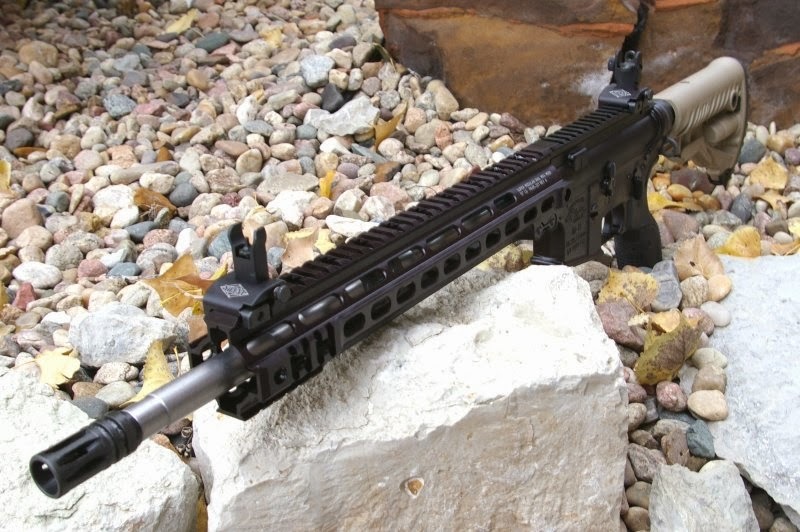 It is amazingly accurate with just standard cheap surplus 5.45x39 ammo and with the muzzle brake, rifle length buffer, and mid-length gas system it delivers a soft shooting tuned 3-Gun style AR15. The question many will ask is whether they should lay down the initial investment for the surplus 5.45x39 conversion. 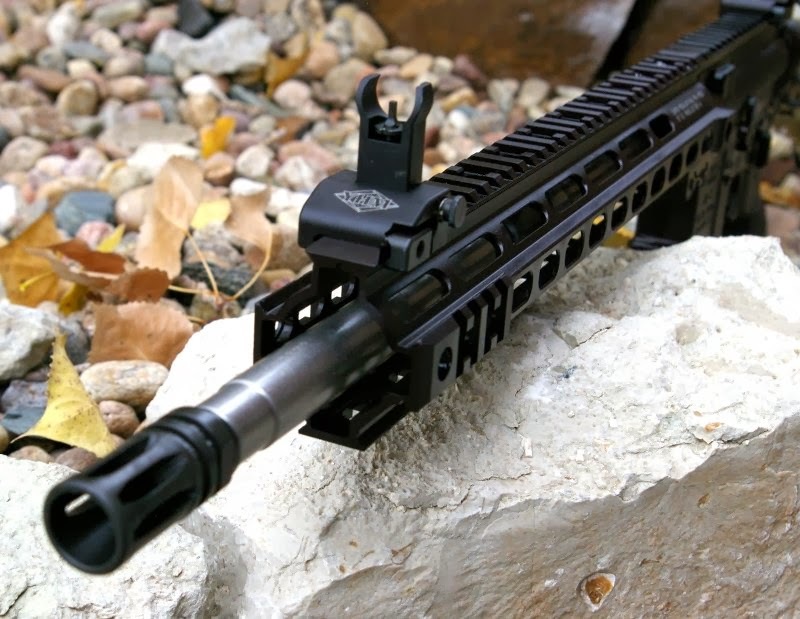 Looking at cost savings - if you are a casual shooter that only shoots a few hundred rounds a year with your AR, then a conversion may not pay out for you unless you are just curious about the round. On the other hand, if you do dump 1000s of rounds downrange, a 5.45x39 conversion can pay for itself in your first $380 - 2080 rounds worth of 5.45x39 surplus ammo and can save money every round after that. Beyond the cost savings, the 5.45x39 round is just as powerful a round as the .223 Remington or 5.56 Nato round. Arguably it is more efficient from a defense perspective and with the Ballistic Advantage barrel and bolt, it can also be just as accurate all for less than half the price per round.223/5.56. The only component between the two builds that are a little ugly that did not perform as expected was the 1:9 twist liquidation barrel. Look for a full review on the cool parts used in each of these builds. Meanwhile, I need to get back to the range and shoot more... for less. Did you slug the first barrel? I got one that performed similarly, although it's a different brand. Turns out it's pretty much a 5.56 barrel with a 5.45 chamber, so it's not the fault of the twist rate. Did you use or need a higher powered hammer spring? 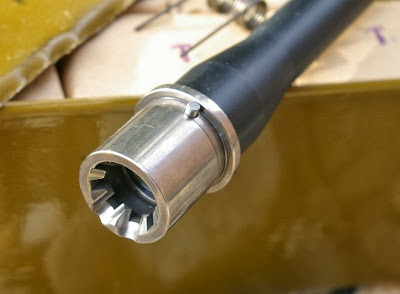 he high power hammer spring does improve ignition, however I run most of my lowers without them with these uppers. 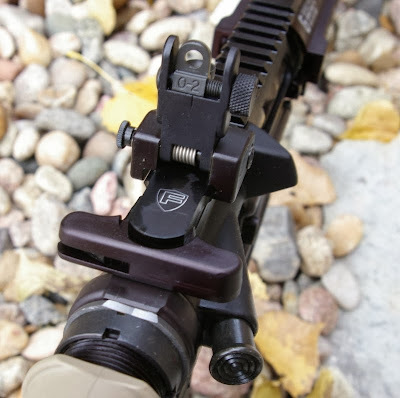 The best option I found was a HiperFire triggers which offer match grade feel with very high hammer fall trigger force. I have not slugged the barrel, but I am pretty sure that is the issue. So I can use a standard ar15 Carrier? I will just need a 5.45x39 Bolt? and will these two work together? Yep - you can use a standard carrier and will only need the 5.45x39 bolt and the barrel. I just built a BA set up with the 20 inch barrel and bolt. I am not so happy with the performance. I think most of the problem is in the mags not feeding correctly. What do you suggest? How about the buffer spring? I just used a standard one. Shoots very straight when it works. I didn't have any key holes even at 100 meters. Well the mag reliability is he biggest issue with these builds. Personally I would highly suggest. Sticking with Magpul mags and only loading 15-18 rounds in an un modified magazine. With modification you can get into the 25 -round range. The other issue which delivered some aggravation was ignition reliability. You do need an extra power spring to get the best reliability. My current setup is a HiperFire 24 trigger with a stock Ar15 hammer spring. This boosts the hammer force and is now only have 1 round in about 400 that which fail it fire. What modification did you do to the mags? Are the mags you're talking about Magpul AR/5.56 mags? Are these Magpul AR/5.56 mags? What mod did you do? If you don't want a high capacity magazine, then a standard magpul 5.56 mag works fine. For high capacity around 25+ rounds, I basically removed the anti-tilt follower legs on the follower. This allows the magazine follower to tilt with the stocked tapered case 5.45x39 rounds.